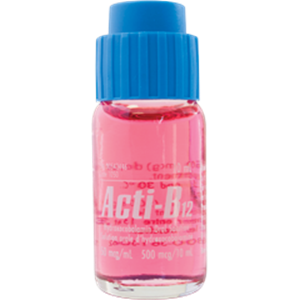 Acti B12 Oral Solution also known as Cyanocobalamin is generally used by aneamic patients due to the deficiency of vitamin B12. 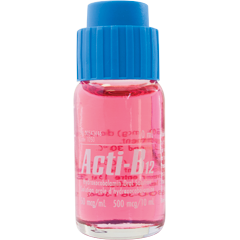 It is also suitable for people who develop aneamia due to absorption problems. It is imperative to know when to take your medicine to get the maximum benefits. Taking the medicine at the same time each day is advisable. Side effects may include skin problems and some sensitive reactions and itching, although the frequency of these side effects is not known. It is advisable NOT to take this medicine during pregnancy and by Breast feeding mothers.